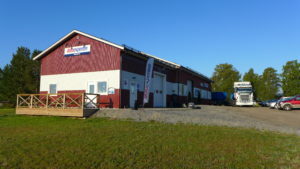 We are a complete car service facility located in Långviken, Tavelsjö. In our 300 m2 workshop we carry out service and repairs of all car brands as well as other machine and vehicle types. When you do a car service of your car with us, we will take care of your car in the best way, here you will meet skilled and trained vehicle technicians. We always follow the car manufacturer’s service schedule that applies to your particular car. This means that we do not miss any points, you can be sure that everything that is included in the service is being done. We belong to the workshop expert Autoexperten. – The car’s new car warranty will continue to apply when you service your car with us. Have you been re-examined on your car? We can turn off the car inspection 2: or. The price we will raise in advance. If the price differs from the deal, we will always contact you before any further repairs are made. Do not hesitate to call! In addition to the workshop, we offer services in contract. 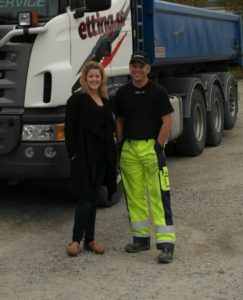 We supply concrete, gravel and mat soil. We fix houses, drainages, sewers and other land works. Three of our trucks transport recycled metal, waste and recyclable materials, in cooperation with Stena Recycling. We also cooperate with KVD and run the KVD plant at Klockarbäcken in Umeå. On our website you will find more information about us and what more we have to offer!